The French parliament’s committee on European affairs has published a report on the European strategy on endocrine-disrupting chemicals which calls on the EU to react urgently to the matter. The report states that public health is being challenged by the damaging affects posed by endocrine disruptors, leading to extra financial costs in the future for the health sector if appropriate policy action is not being taken. 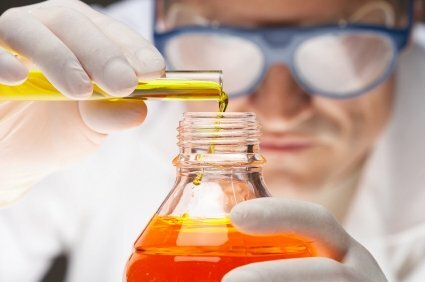 The EU needs to publish both a new, comprehensive strategy on endocrine disruptors to boost public action as well as rapidly adopt a single definition on endocrine disruptors based on the hazards and not "on the notion of potency as has been put forward by industry," the committee said. Some endocrine-disrupting chemicals occur naturally, while synthetic varieties can be found in pesticides, electronics, personal care products and cosmetics. They can also be found as additives or contaminants in food. The European Commission had planned to publish a definition of endocrine disruptors in December 2013, but the definition has been delayed as Environment Commissioner Janez Poto?nik has said he wants the Commission to make an impact analysis first. The delay in publishing criteria from the Commission's side, led the Swedish environment minister Lena Ek on Wednesday (26 February) to threaten to sue the Commission for breaching a bargaining agreement. "If this is not done within two months, it's so serious from an environment and health point of view that we will follow up by suing the Commission," Ek said. Génon Jensen, executive director at the NGO Health and Environment Alliance (HEAL), also called on the Commission to deliver on its promise and publish a strategy on endocrine disruptors as soon as possible. "Postponing its publication until the new Commission would indicate to European citizens that bureaucratic procedures are more important than their health and the prevention of chronic diseases," Jensen said. "To reduce unnecessary health problems and healthcare costs, we need swift progress on endocrine-disrupting chemicals policy so as to start reducing people’s daily exposures to chemicals linked to chronic disease,” she added. 13 March 2014: Deadline to comment online on the European Food Safety Agency's (EFSA) public consultation document on the chemical compound Bisphenol A. Thanks for article, keep on. I’m glad to hear about this project. I pray that the accuracy & urgency of this matter will be impressed on all nations, for the health of all people.